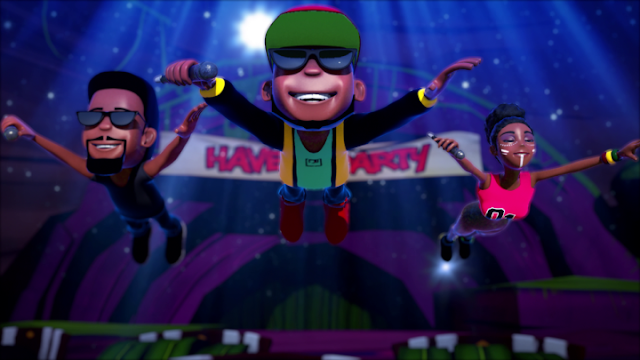 Jayso turns it up a notch with thrilling 3D visuals to his new single ‘Have A Party‘. This captivating, exciting and colorful visuals to ‘Have A Party‘ featuring Sarkodie and Raquel is the 4th music video to come from Jayso‘s debut solo album titled ‘Making Tasha Proud‘. According to Jayso, it took the creators of this video a year and 3 months to complete it. He made this known during a Live Facebook and Twitter session he organised with the creators to launch the video. The Director of the video, Bertil Toby Svanekiaer also mentioned some of the challenges he faced during the making of the video and called on the government and corporate bodies to invest in the creative arts. The group used to opportunity to thank NASCO Electronics and Coconut Grove Hotels for collaborating with them on this epic video. This music video is without a doubt one of the best visuals to come out of Ghana. Excellent by all standards. Both video and audio.